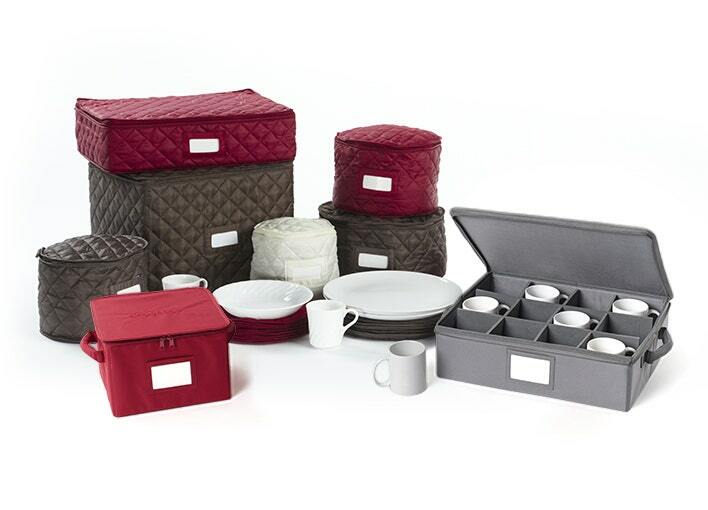 Do you have enough space in your dish storage protector, but not enough dividers to protect your additional dishes? We thought that might happen, which is why we have our additional Covermates quilted dividers set. All you need is a few, so this set of 4 padded quilted dividers with diamond stitching is the perfect solution to help you utilize all the space possible in your dish storage protector. When it comes to kitchen mixer covers, Coverstore takes the cake! We did our research before developing our line of polyester mixer covers to fit over most of the popular brands of stand mixers. We took extra care in designing our Covermates stemware storage. Inside our stemware storage protector is a heavy duty foam frame and dividers that, when put together, form 12 individual compartments to firmly hold and protect your glasses. Created with details that matter, our indoor storage solutions make organizing and cleaning your home easy. We've designed our dish and china storage with high-quality materials both inside and out, ensuring your valuables stay clean and protected for years.